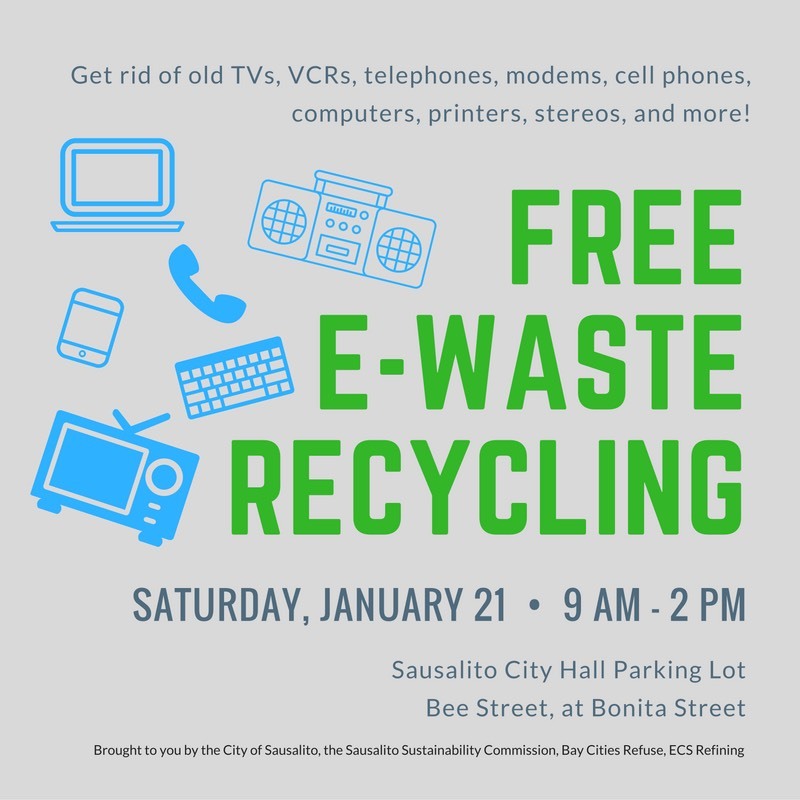 Organized by the Sausalito Sustainability Commission and Bay Cities Refuse Services, this is Sausalito’s 7th annual e-waste collection event. Last year 3,905 pounds of e-waste were recycled and, since this collection became an annual event, more than 25 tons of e-waste have been kept out of landfill. That’s impressive. The FHA environmental committee, in partnership with the Conservation Corps North Bay, plans to make our own fall e-waste collection an annual event (either the 2nd or 3rd Saturday in October– check back for details). Along with the Marin County Civic Center e-waste collection (last year it was early July) this gives the community-at-large three opportunities – spread out throughout the year – to recycle our electronics items.